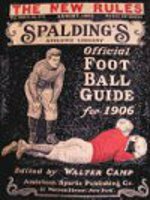 War years, at least those for WWI and WWII, affected college football greatly, so much, in fact, that Spalding’s guides for those years had to adapt to the changed environment. 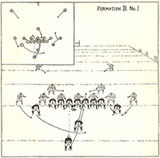 The 1919 guide, for example, includes a large section, titled Part II Spalding’s Official Foot Ball Guide: Army and Navy Foot Ball. A July 24, 1919 letter from President Woodrow Wilson to Hugh Miller extolling the virtues of football in training troops for combat served as a frontispiece for this section of the book. Ironically, or not, Miller wrote publicity pieces for Pop Warner when Warner coached the Carlisle Indians. Apparently, Hugh Miller was more than just a hack writer who did Warner’s bidding. This focus on military teams was necessary because the 1917 and 1918 football seasons were disrupted, to put it mildly, by the large number of college football players who were inducted into the service during WWI. Many colleges stopped fielding teams where others played with lesser talent than usual. Most college teams included military teams on their schedules. It’s fair to assume that the military academies were not impacted nearly as much as their civilian counterparts. Carlisle Indian School canceled its 1918 season because the school was closed to allow Carlisle Barracks to be used as an army hospital. However, many of the former students continued to play football—even after they enlisted. If you know anything about any of these men, please get in touch with me. The writer was evidently not a supporter of football as it existed at that time. He compared football to boxing and found fewer serious injuries in boxing although it attracted more attention from legislators. When he compared football to bullfighting, football came out as worse because the bulls would be eaten for food and the horses used in bullfighting were destined for the glue factory anyway. Also, bulls and horses alike were killed in combat, a much more desirable way to die than at a packing plant. He went on to compare bullfighting with fox hunting with dogs and horses in not very complimentary terms as another example of a sport over which Americans preferred football. 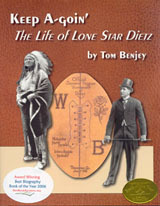 He further criticized Americans’ taste by pointing out that if the 20 hunters already dead and the five more dying in Northern Wisconsin because they were mistaken for deer by other hunters were killed by Spaniards, Russians or the Chinese, we would view them as being very stupid. Earlier this month, another report recommended against mass screening for prostate cancer. This time it was a study funded by the National Institute of Health (NIH) and conducted by researchers at the Washington University School of Medicine in St. Louis. Their position is that annual screening of m their 50s and 60s does not save lives. A critic pointed out that their research model was flawed in that a control group of men who were not screened was not part of the study. This study fall on the heels of a government committee’s recommendation last fall that mass screening for prostate cancer be stopped because it doesn’t save lives. 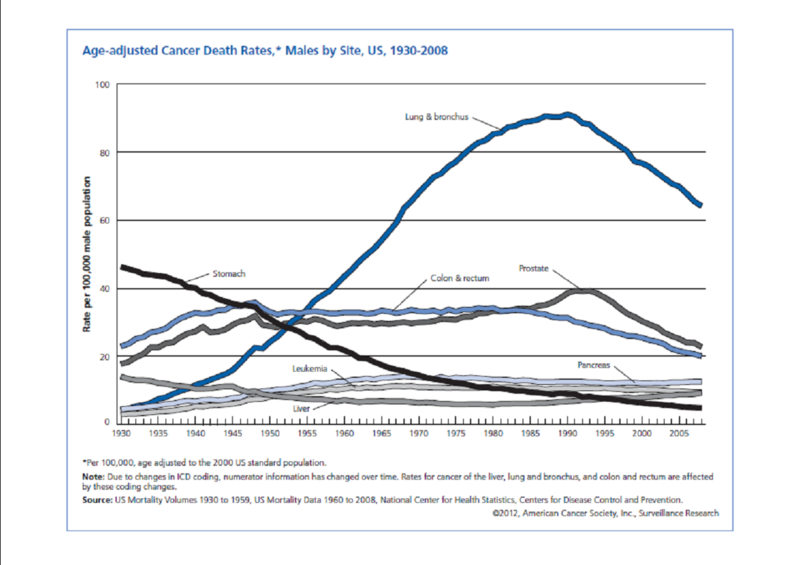 The reason for the decrease in the death rate is not known with certainty. The likely contributing factors are: mass screening, improved treatment techniques, and treating the disease in earlier states. To make matters even less clear, these factors are interrelated. For example, mass screening detects prostate cancer at a much earlier stage of development than if the patient presented with symptoms. Higher levels of success are likely when treating earlier, lower-grade cancers with improved treatments. 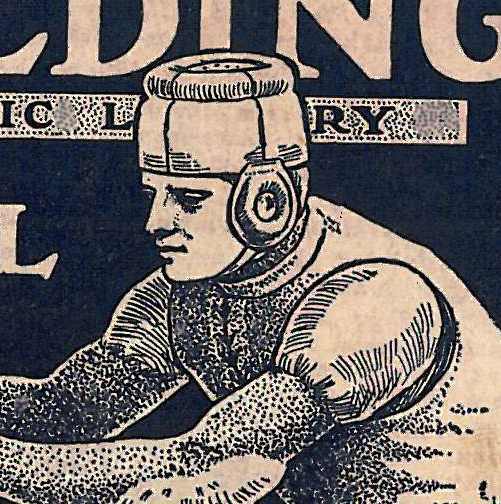 As shown on the left, the player depicted on the cover of the 1903 Spalding Guide wears an odd-looking piece of headgear not seen in previous editions. Although it resembles cranium adornments sometimes found on pre-Columbian art, it is of more recent invention. It is different from anything I had seen in earlier photographs and drawings. 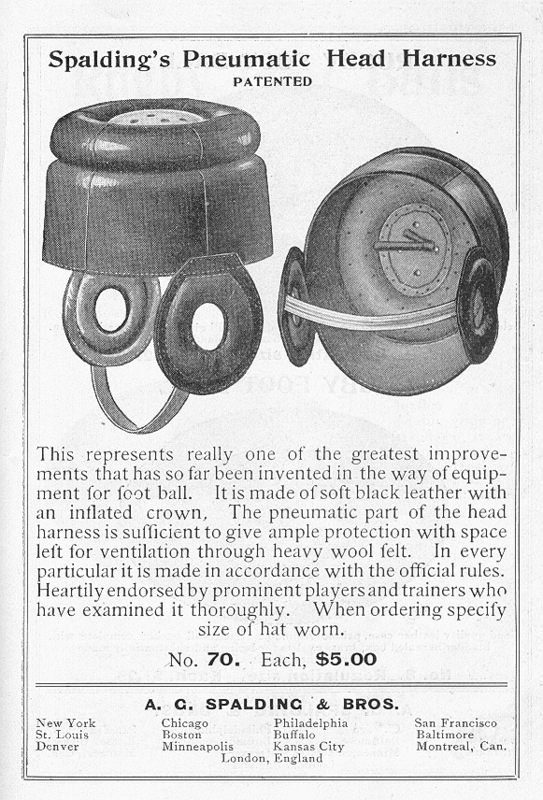 When perusing the advertising pages at the back of the 1903 guide, I came across a full-page ad for “Spalding’s Pneumatic Head Harness (Patented),” an item that looks suspiciously similar to the headgear in the cover drawing. A couple more pages including a few more models of head harness (Spalding didn’t call them helmets in those days) are sprinkled among the advertisement pages at the end of the book. This represents really one of the greatest improvements that has so far been invented in the way of equipment for foot ball. It is made of soft black leather with an inflated crown. The pneumatic part of the head harness is sufficient to give ample protection with space left for ventilation through heavy wool felt….When ordering specify size of hat worn. No mention is made of how one is to inflate the headpiece. Perhaps the “Club” Foot Ball Inflater, priced at 50¢, or the Pocket Foot Ball Inflater, at half the price, could be used to keep the head protector at full pressure. Because this design didn’t last long (it is not in the 1916 book that was close at hand), it is fair to conclude that it didn’t perform as well as expected—and as advertised. Yesterday’s mail brought the 1918 Spalding Guide. 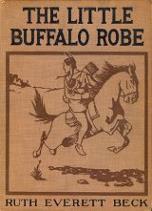 It includes a couple of interesting things about the Carlisle Indians. First off, the team photo (of the 1917 team) shows the players in different jerseys than we’re accustomed to them wearing. These appear (the small photo on the yellowed page isn’t the clearest) to have two stripes above the midriff and above the elbows on the sleeves. I think I may have seen one of these jerseys before, possibly in Wardecker’s store. About all that was written about the 1917 team, their last as things turned out, was what George Orton of the University of Pennsylvania, wrote in his piece about the mid-Atlantic region : “Carlisle showed improvement over the previous year, but until they get a team of first rate caliber they will do well not to schedule so many matches with the big colleges.” Perhaps, he thought Carlisle had been playing opponents well above their weight since 1914. Their 1917 schedule was brutal, causing the overmatched Indians to lose by huge scores to the likes of Army, Navy, Penn and John Heisman’s Georgia Tech, arguably the best team in the country that year. The Guide also includes schedules for most college and university teams as well as some prep school and high schools. Because Carlisle largely played against colleges and universities, its games were listed with theirs and not in the Scholastic schedule. Although the schedule wasn’t nearly as tough. 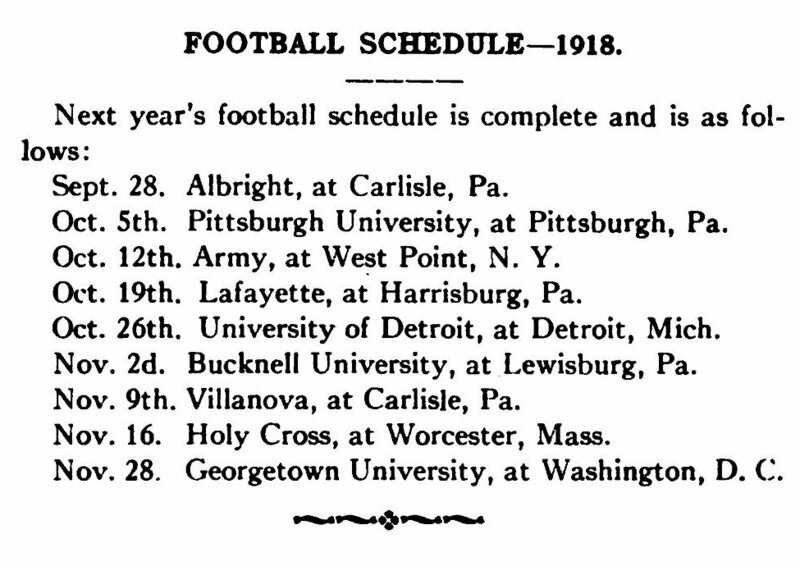 It included Army and Pitt, the team that would be deemed National Champions for 1918. The schedule was as printed in the Carlisle school newspaper on May 24, 1918 except for the October 26 game with Detroit which wasn’t ultimately scheduled. Orton didn’t even hint that Carlisle was about to close. 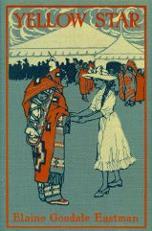 The published schedules included Carlisle. Had it been know well in advance of the football season that Carlisle Indian School was closing, their games would have been stricken from the list. This is further evidence that Carlisle’s closing was not inevitable after the 1914 Joint Congressional Investigation. 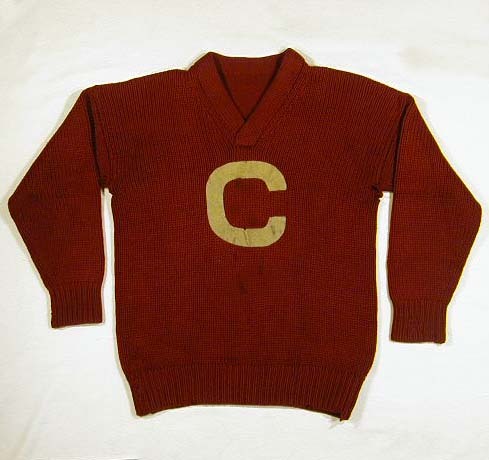 By the way, Cornell’s 1917 jerseys again had stripes just below the elbow. Among other things, today’s mail brought a copy of the 1904 Spalding guide and it provides some valuable information with regard to determining who first used football jerseys with stripes below the elbows. 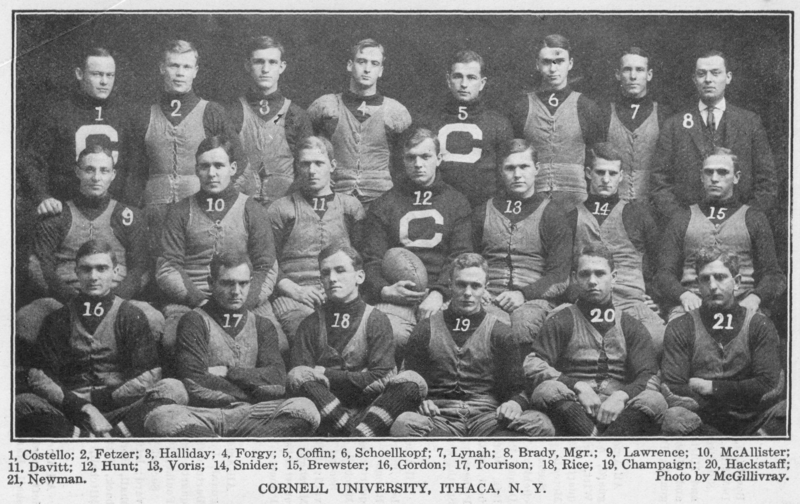 A photograph of the Cornell team on page 30 captured most of the team members in their playing uniforms, not their letter sweaters. The black and white photo has the players wearing dark-colored jerseys under what Spalding called sleeveless football jackets. The v-necked jackets laced up the front and were cut back where sleeves would have been connected, had there been any, to provide freedom of movement for the players’ arms. All of the sleeves, necks and a bit of the bodies of the jerseys were visible with the jackets on. One assumes that the jerseys were solid carnelian, a brownish shade of red, because Cornell’s school colors are that color and white. The school colors were chosen as a (possibly humorous) reference to the University’s founders, Ezra Cornell and Andrew Dickson White. Those who are associated with the school are commonly referred to as “Cornellians” and the reddish-brown color is sometimes spelled cornelian. From the photo of what was most likely the 1903 Cornell team because photos had to be submitted to Spalding well before the start of fall practice in order for the guide to be laid out, printed and distributed ahead of the beginning of 1904 football season. The Carlisle team photo on page 22 of this book is definitely that of its 1903 team because Pop Warner is in it and James Johnson is holding the football. Johnson was captain of the 1903 Carlisle team and played for Northwestern in 1904. Warner returned to Cornell for the 1904, ’05 and ’06 seasons. As reported previously, Cornell was wearing jerseys with stripes below the elbow in 1905 as shown in the 1906 Spalding guide. I have to wait for the 1905 guide to arrive before seeing if they had shifted to the unusual stripe configuration for Warner’s first year back at his alma mater (unlikely unless Warner had nothing to do with it). I think I may have figured out how the VA computes disability percentages for veterans with multiple disabilities. It’s not simple. If you have three disabilities– say a 60%, a 30% and a 10%–that total 10% under the normal rules of mathematics, you aren’t rated at 100% by the VA. They determine disability percentages as being 100% minus an efficiency percentage. If your first disability (in order of severity) is 60%, you are 40% efficient (100%-60%). The second disability (30% in this case) leaves only 70% of the efficiency remaining after the first disability or 28% (40% times 70%). The third disability (10%) leaves 90% of the efficiency remaining after the second disability was deducted or 25% (28% times 90%). Subtracting the combined remaining efficiency from 100% yields 75% (100% minus 25%). The VA rounds this percentage to the nearest 10% for a combined disability of 80%. 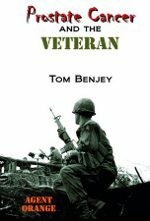 Eighty percent is a far cry from 100%, particularly the way the VA computes compensation. An 8% disability does not get 80% of what a 100% disability gets. For example, an 80% disabled vet with a spouse gets $1,602 per month, not $2,339 (80% of $2,924). You can find the VA’s explanation of how they compute multiple disabilities at http://www.benefits.va.gov/warms/bookc.asp under section 4.25 Combined Ratings Table.